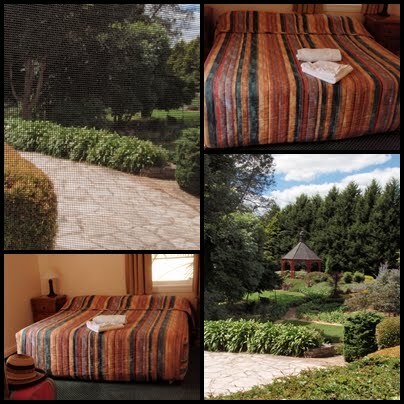 I am home from my wonderful 3 day stay at Solar Springs. I had a marvelous time, feel very refreshed a little sore from the walks and classes i did but motivated to get my fitness regime started. This is my room and the view from my room. On my first day I threw myself right in and did the boxfit class, was a lot of fun but very hard work. After the class i had a swedish massage which was extremely lovely and really relaxing. Day two started at 7.15 with a stretch class in the gym. 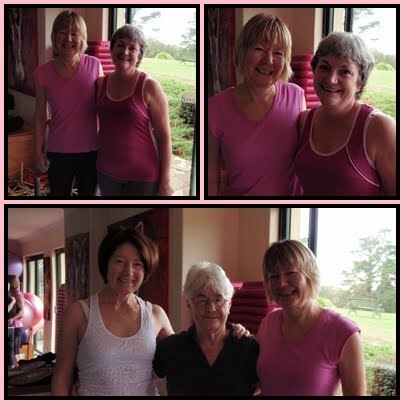 I met up with my bosses partner, Gertie, and her pilates friends, Jenny & Bobby. 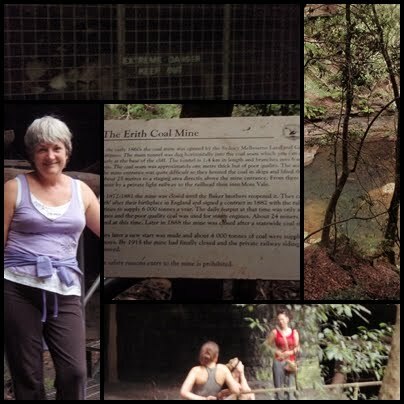 After a yummy healthy breaky we set off for the mornings walk to Erith Coal mine. Then I had my manicure, last minute change so I wasn't able to do the arc hery as planned. Wednesday lunch was quite spectacular, a buffet of gourmet salads and the nicest antipasto plate. I was going to join the pilates class but fell asleep when I went to my room to organise my class clothing. I then had a lovely, extremely relaxing facial. After a really lovely dinner I joined 5 other girls & Grant the fitness coordinator on a nighttime walk to the glow worm den, wow was that hard work, I seriously did not think I was going to make it back. But I did. We were not allowed to take piccies of the glow worms so i did not take my camera at all on the walk. I freaked out a few times as the lady in front of me was very excited about any noise she heard and was giving a running commentary, including put her torch light on a possum sitting on a branch right above where we had to walk, if I stretched my arm out I could have touched him, which meant if he felt like it he could jump on my head. not a big nature girls here. But it was so worth the hard walk as the worms were well and truly glowing. Thursday started a 6am as I wanted to get up early enough to photograph the sunrise over Morton National park, but the sunrise was very disappointing so no photos to share I am sorry. 7.15 I joined the stretch class, really is a great way to start the day. After another great breaky I had a swim, spa & spent some time in the steam room with a hair treatment on. Most of Thursday was geared towards mediation so I pretty much did my own thing. I also had a body scrub treatment. Our last evening together was a blast. 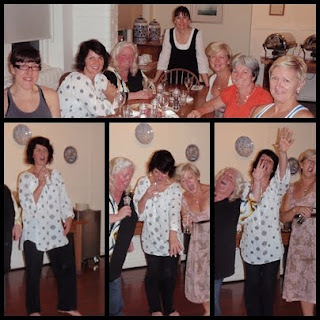 I had made friends with 5 other really lovely ladies that I ate most meals with and we decided after dinner to have a bit of a singalong. I slept in Friday so missed the early morning walk but did manage to get to the stretch & unwind class after breaky. I didn't realise unwind meant guided mediation so I decided I would meditate on God and sang many of my favourite choruses and recited many bible verses in my head of course. I then had my last treatment, a pedicure so now have the most gorgeous orange toenails. I had lunch with a few new girls who were only there for one night. I then had a swim, spa and steam before another boxfit class. WOW is that a real workout. By the time I changed I was ready to be picked up by John and came home. I had a lovely, relaxing time and am looking forward to my next visit, March next year. It sounds wonderful Gail, and just what you needed to recharge your battery! I feel tired just thinking about all that you did! Hugs, Sandy. 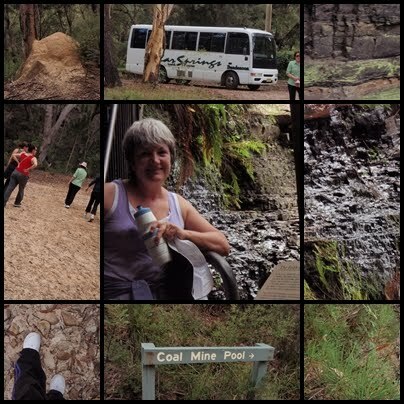 Sounds like you had a wonderful time Gail,wish I could go on a spa retreat one day as well :) Barb. Seriously sounds like a wonderful few days of pampering... Glad you had the chance to go and glad to hear you feel revived and refreshed.